While each may be looking for different things from their experience, there are a couple things that all interns are looking for. Finding an internship that will further their career is a top priority. The chance to gain valuable, marketable skills is often the main reason for wanting an internship in the first place. Other factors may include increasing their professional network, exploring something new, or simply testing the professional waters. getting paid for their work! 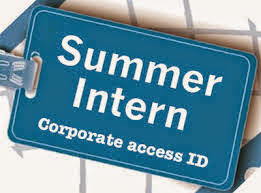 While many internships in the past did not pay, recent litigation arguing that the work provided by interns goes beyond the “learning” experience is forcing companies to rethink their position of interns as “free labor”. Even the promise of gaining college credits is not enough. Interns are increasingly demanding to be paid for their work. While it is obvious that earning money is in the best interests of your interns, I argue that paying them is also in the best interest of your company! The Department of Labor has strict guidelines as to what differentiates an internship from a paid position. An unpaid internship should be designed to provide “educational training” for the intern, without any actual benefit to the employer. However, having interns perform duties that paid employees are doing or should be doing, is essentially having them work for free. This is in direct violation of the Fair Labor Standards Act (FLSA), which requires all workers be paid at least minimum wage. Therefore, if your internship is not first and foremost a learning experience, your interns deserve to be paid. The biggest thing to keep in mind is that the original purpose of an internship is to provide “educational training” and not to have interns do the work of traditional paid employees. In the real world, this distinction can be very hard to accomplish. 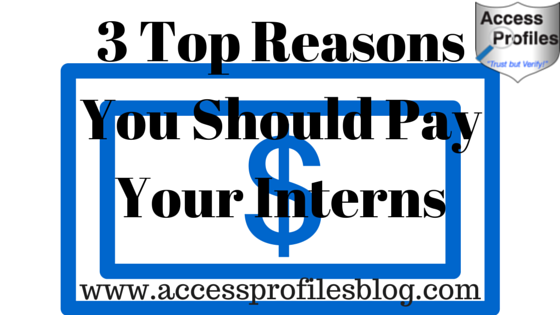 To avoid potential legal problems, it just makes good business sense to Pay Your Interns. 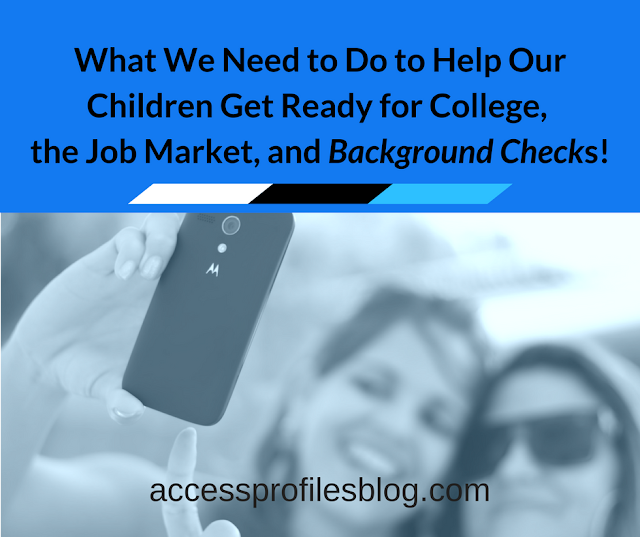 Don’t Skip the Background Check! You may question whether a background check is necessary on such a “temp” employee. “To determine that, it is best to take a look at what your intern will be doing during their time with your company. Do they have access to proprietary or sensitive client information? Will they handle company funds or other valuable assets? Do they come in contact with children, the elderly, or other vulnerable individuals? excerpt from “Hiring an Intern? Don’t Skip the Background Check”. Hiring Interns can, and should be, a positive experience for both You and Your Intern. You will gain first hand knowledge of what these young people have to offer. Your Intern will gain professional experience and the opportunity to put what they have learned to good use. 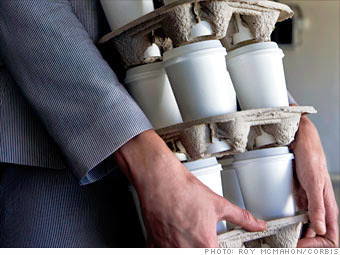 Find more about the benefits of hiring interns and other temp employees for your Small Business here. will only elevate the experience for both of You. And this just makes Good Business Sense! through our website and “Contact” Page. 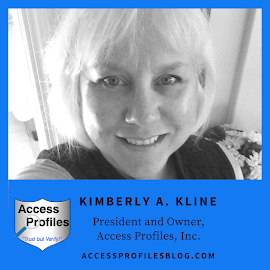 You can also learn more about what we do and “why” on our “Hiring”, "Business Mentoring", and “About” pages!